It’s easy to get stuck in a customer service nightmare. Sometimes what seems like the simplest option results in days of stressful back-and-forth, extra fees, and lackluster service. 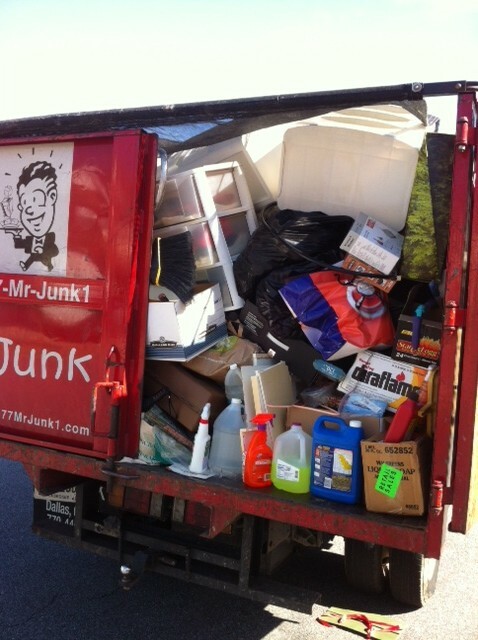 At Mr Junk you’ll never have to worry about subpar services. We’re a local business built on the principles of surpassing customer expectations and treating people the way we’d want to be treated. That means low cost junk removal, fast hauling on any project, and “personal touch” services that go above and beyond. Many commercial junk haulers take care of the big problem and leave cleanup to the customer. The folks at Mr Junk don’t want customers to feel the need to clean up after us. When we come to haul organic debris, old furniture, or scrap material, we don’t leave twigs, screws, and dust behind. Our junk removal team picks up the smallest pieces of debris, and we always come through and sweep up after. The only thing our customers need to worry about is what to do with their clean, empty space! After we haul old junk off your property, what do we do with it? Mr Junk cares about the environment and community. That’s why we don’t simply cart your old stuff to the dump and leave it in a heap. Whenever possible, we recycle and donate the junk we haul, giving your old stuff a fresh start! Want a junk removal service that’s fast, affordable, and customer-first? Call Mr Junk to haul off unwanted furniture, appliances, and debris.